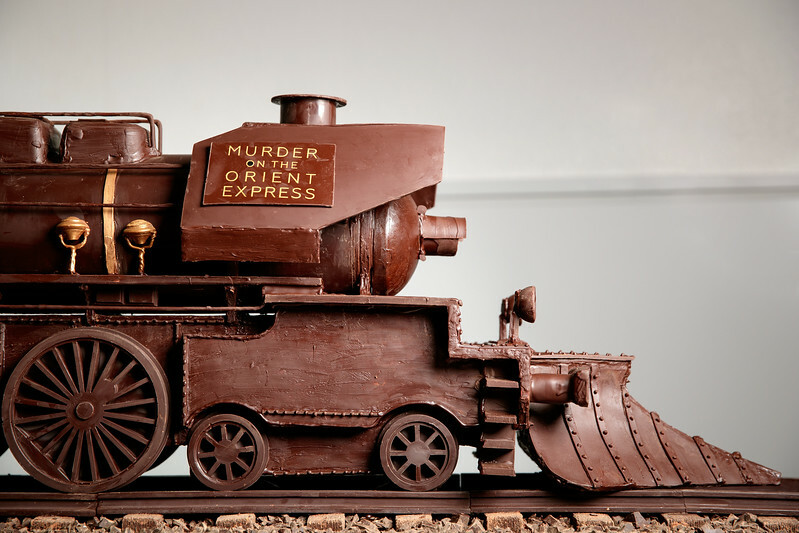 Luxury Belgian chocolatier Godiva has created a 10-foot chocolate train to celebrate the release of the new Murder on the Orient Express - a big screen reimagining of the classic mystery novel by master storyteller Agatha Christie. Made using a combination of luxury Godiva dark and milk chocolate, the 10-foot-long intricately designed train took experts 50 hours to design, and almost 350 hours to build. Weighing in at 60kg, the train weighs the same as 600 bars of chocolate or 3,000 hours of film reel. Synonymous with the craftsmanship, quality and chocolate artistry for which Godiva is renowned, the delicious mode of transport will be present at the film’s premiere at the Royal Albert Hall on the 2nd November, before taking residence at St Pancras Station, London. The train’s creation comes after Godiva announced its first film collaboration, with an exciting new partnership with 20th Century Fox for the much-anticipated film. Luxury Belgian chocolatier Godiva last night unveiled a 10 foot chocolate replica of the Orient Express, at last night’s global premiere of the new Hollywood blockbuster, Murder on the Orient Express. Made from 60kg of premium dark and milk Belgian chocolate, the train weighs the same as 600 chocolate bars, and took experts almost 350 hours to build, and 50 hours to design.